TekSynap announced today that it was recognized by General Dynamics Information Technology as a high-performing small subcontractor for their technical effort and performance during the past year. The General Dynamics Information Technology Quality Service Provider (QSP) Program uses an established quality rating system and an annual evaluation process to identify the highest-quality small business providers based on quality of work, timeliness, responsiveness, cost effectiveness and standards of conduct. 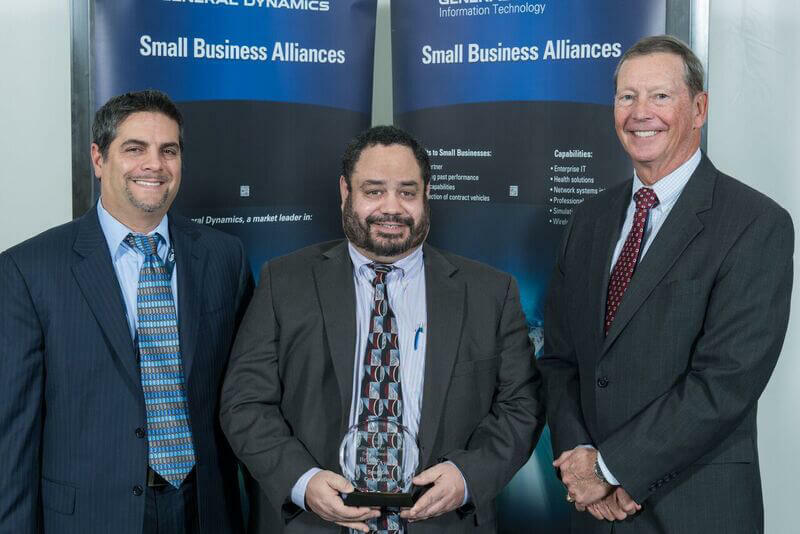 TekSynap was recognized at an award ceremony held on November 30, 2016, at General Dynamics Information Technology headquarters in Fairfax, VA. The award was presented by Dan Johnson, President of General Dynamics Information Technology.